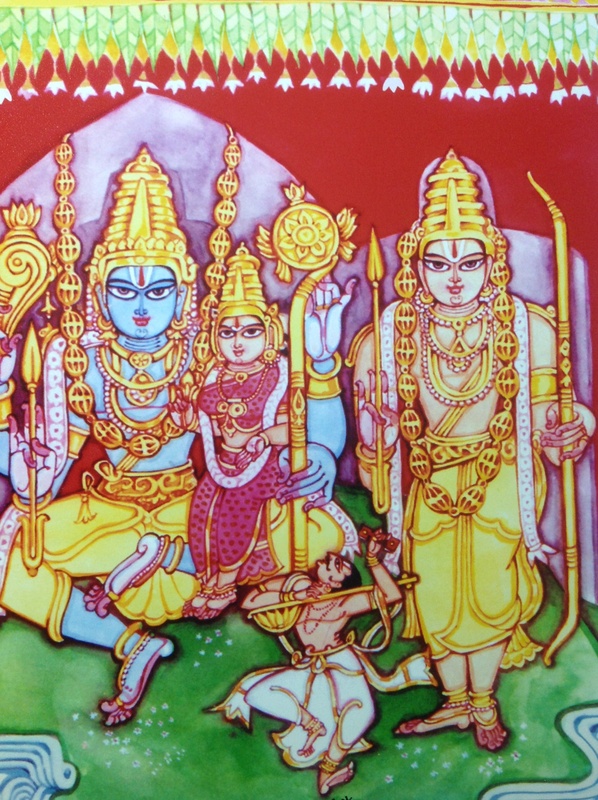 I went to bed earl y yesterday as I was not feeling that great and suddenly woke up around 11:30 and thinking of posting Bapu SeethaRamulu for SriRamanavami wishes, and I was looking on Prashanthi’s Timeline on Facebook for a pic I gave them on their wedding anniversary, which I could not find. Then I checked back in my Bapu’s collection (the posters I bought at NATA convention few years ago) for some wedding ceremony pictures, I do not even remember that I had bought Seetha Ramula pic. And I found this. My joy knew no bounds. Ekanga Bhadrachala Ramuluvarae Sakshathakarinchaganae, felt little emotional. For the past few months, whatever comes into my mind is materializing very divinely ! Thanks Baba for being with me and holding my hand all the time.